Red Sox Maineiacs: 12 reasons the Sox will win the World Series...or will they? 12 reasons the Sox will win the World Series...or will they? 1. Expectation Level- I could not agree more. I love the lower expectations for this year’s team and the motivation it provides. However, this type of motivation tends to wear out over the course of a long season. 2. Dominant Offense- Again I could not agree more I believe this offense will be dominant. So much so that I took 3 Sox with my top four picks in my for money fantasy baseball league. They will score a ton of runs and I believe Salty will start an upward trend of offensive production much like Varitek did early in his career. Not much not to like here. 3. Front of the Rotation- The top 3 of the Red Sox rotation might match the others, emphasis on might, but not exceed. Too many question marks here. The top 3 are basically the reason for last September’s collapse. The Buchholz injury was really the start of the gradual downfall. Then in late August and September Beckett and Lester could not step up and stop the bleeding. Beckett’s pattern is one good year and one bad and last year was mostly good so that doesn’t bode well (and we found out today that he has a thumb injury). 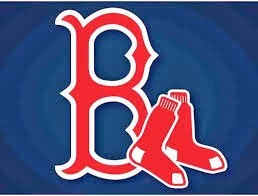 However, I do believe that Lester and Buchholz will be very good this year and both make the All Star team. 4. Back of the Rotation- Despite my concerns with the front of the rotation I am very encouraged with the back of the rotation. I’m on record saying that Aaron Cook is going to have a positive impact and I also believe that Dice K will come back with plenty to prove. 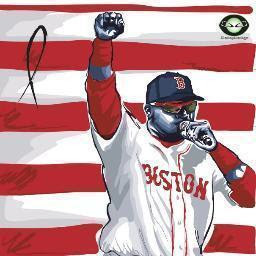 I am excited to see how Doubront and Bard will do. I think that with Bard getting all the media attention that Felix can kind of sneak under the radar and be very good. Plus all these guys will get the benefit of our offense hitting against other teams 4 and 5 starters most of the time. So with good run support and bullpen help these guys could rack up some early wins. 5. Offensive upgrade in RF- Not until Crawford comes back. I believe that a Ross/Sweeney platoon will be very effective. But, Sweeney alone will certainly not be an offensive upgrade. When does Ryan Kalish contribute? Will he ever get back to his full potential? 6. Defense- I agree that they will be an above average defensive team especially in the OF. The left side of the infield is the only question mark. 7. Millar/Mueller part 2- Well we didn’t have to steal anyone from Japan this time, but this year’s offseason did remind me of Theo’s ’03 crew. I really like the role players on this team (pitchers and hitters). It feels like we are due to hit on a few of these as it seems like we have not had much luck in that department lately. 8. Carl Crawford/Dice K- Again I agree that both of these guys will have a positive impact. Of course it would be hard not to be better, both of them were awful last year. I was 100% convinced that CC was going to have a good second year much like Teixeira in NY after signing his big deal. Then when I heard about his wrist injury this winter, I immediately saw a red flag. Now I am still confident, but less so. 9. Bullpen- I covered this in my predictions post so I won’t repeat too much. I believe the bullpen will be a strength even with Bailey’s injury. I have confidence in Valentine’s ability to use a bullpen and I believe the pieces are there to have a good bullpen. With that being said it will be better at the end of the year then in the beginning and we need a few things to go our way. We need someone to pitch above expectations (Padilla). We need Rich Hill to come back healthy and pitch like he was before he got hurt and we need Morales to stay healthy. If that happens then we will be fine. The only drawback is that bullpens are so hard to predict and if the breaks go against us they could be a disaster. (Made it through that paragraph with out mentioning Papelboner) Whoops guess I just ruined that. 10. New Kids on the Block- Pawtucket should be fun to watch this year. I hope the prospects can contribute to the big team this year. I believe that Middlebrooks may actually end up having a bigger impact than Iglesias this year. Mostly because Youk can’t stay healthy. 11. Humiliation/Atonement- I believe that Lester is showing maturity, accountability and a ton of extra motivation. He will have the most atonement of anyone. Beckett has not changed. I believe he used this nagging thumb injury to get a couple of days off in Texas before meeting the team in Detroit. I’m afraid he will be this year’s John Lackey. Overall the team will have motivation, but will that be enough to overcome a blowhard manager? When I wrote that "I saw a red flag" it actual did flash up in front of my eyes. Pretty sure that a saw some guy in a hoodie throw it. Now that you mention it I saw him reach for his pant leg. I have to disagree with you that the front of the rotation (Lester, Beckett, Buchholz) was the reason for their end-of-season collapse. First off, Buchholz wasn't even there, so he can't really be blamed. Beckett and Lester were clearly not the #1 and #2 pitchers they are paid like and expected to be. But to me, the reason for their collapse was the end of the rotation and a lack of pitching depth. There were far too many starts in key September games by Tim Wakefield, Andrew Miller, and Kyle Weiland. The media can talk all they want about chicken and beer (why are the video games they were playing never brought up? Doesn't Call of Duty share some blame here? ), but the front office's failure to stock up on starting pitching was what ultimately lead to their disgraceful downfall. Which, by the way, is a reason why I'm not crying in my yogurt that Theo is gone - I thought he sucked the last 3-4 years. In fact, I may blow this up into a full post some time soon. I've heard that argument before about the lack of pitching depth, but at that time of year when things are going bad you need the guys who are supposedly your aces to step up and win a game for you and they couldn't get out of the 6th inning most starts. You can't blame Buchholz for getting hurt? Ok I'll give you that, but the injury itself was a major reason why the team imploded. Who's to say that it won't happen again this year? My point was that he is a question mark (Although I think he's going to have a good season and make the All-Star team as I predicted on an earlier post). My biggest problem with the Red Sox front 3 is that they've been highly touted for 3 years now and they have never lived up to the billing, and if we as Red Sox fans continue to expect a different result..well you know how the saying goes...Call me crazy but I don't think we have a Big 3 in our starting rotation. I do agree that it will be the improved SP depth that will prove to be the difference this year. Joking! How about keeping the Red Sox Maineiacs Blog in your thoughts before you blow out those candles? Happy Birthday, Barry . By the way I thought you might like to know 37 former/current major leaguers have been born on April 3, the only former Sox player on the list is Mike Lansing. Yikes!! Best current MLBer is Jay Bruce of the Reds. Mike Freakin Lansing. Ouch that hurts. I wonder if he tears up his birthday cards like he supposedly tore up line up cards. Mike Lansing is no Jody Reed (born on July 26)!